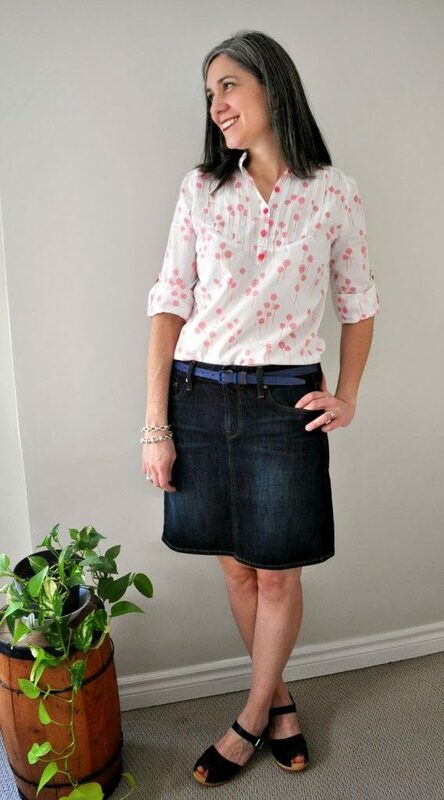 Home Tags Posts tagged with "cuff"
Thank you all for the amazing reception to the Carme blouse over the first weekend! Your comments (and your orders of course!) were so nice, I’m really touched! 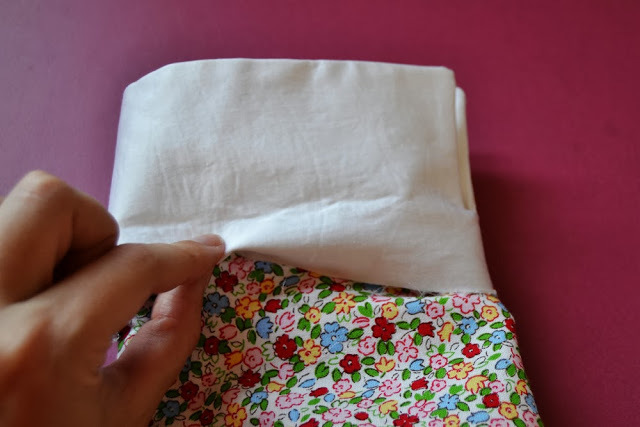 So for those who have ordered the pattern or need some inspiration to get it, let’s see the beautiful versions of the pattern testers (second part is coming on wednesday). 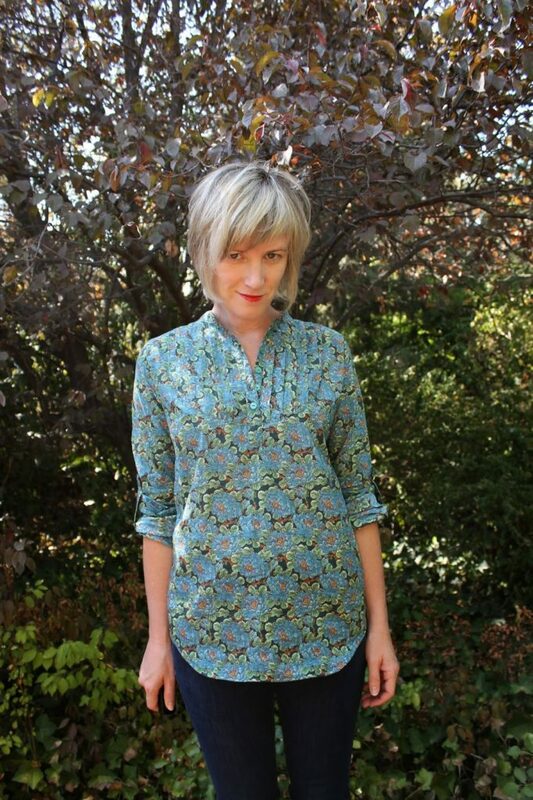 Merche from Aventuras de costuras, made this beautiful cashmere print blouse with a white contrasting yoke. I don’t know about you but I want to make one lie that as soon as possible. 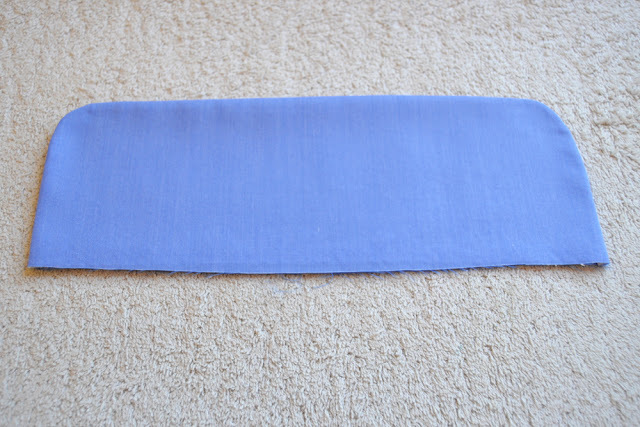 The master of Liberty fabric, Kirsty from Top Notch, used this beautiful blue and green Liberty. It feels really romantic and easy going. 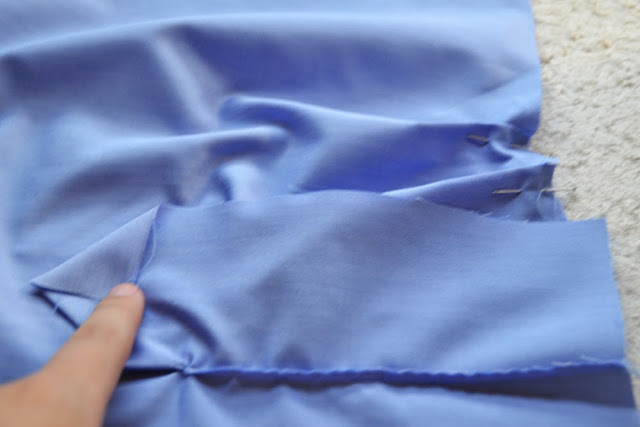 What a delicate and feminine fabric! 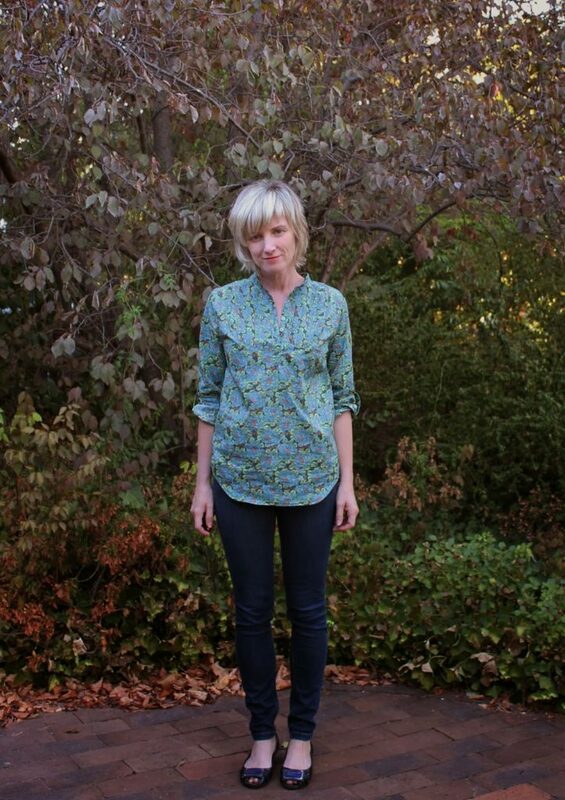 Andrea from Stitch Parade chose this pretty cotton voile to sew her Carme blouse. 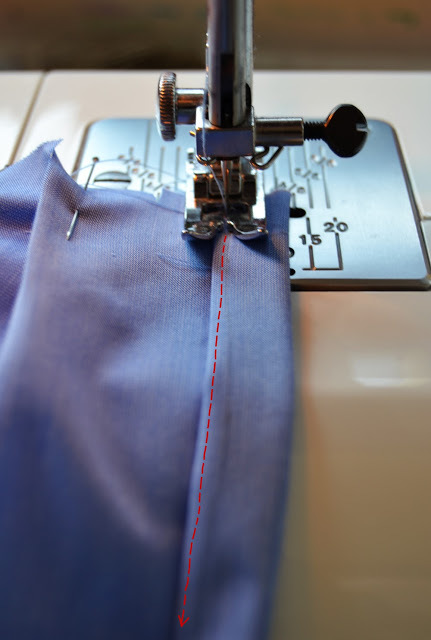 A detail I love: the buttons and topstitching in red! 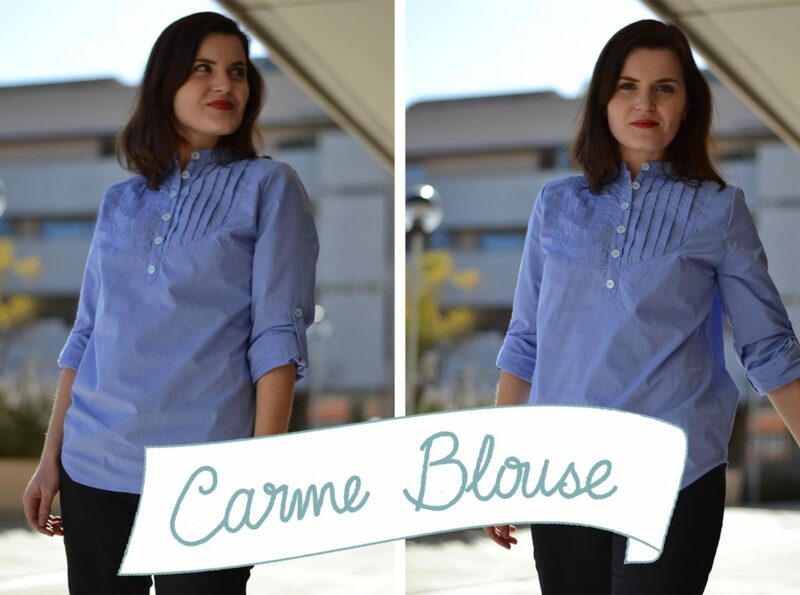 I’m really happy to present the brand new pattern: the Carme blouse! 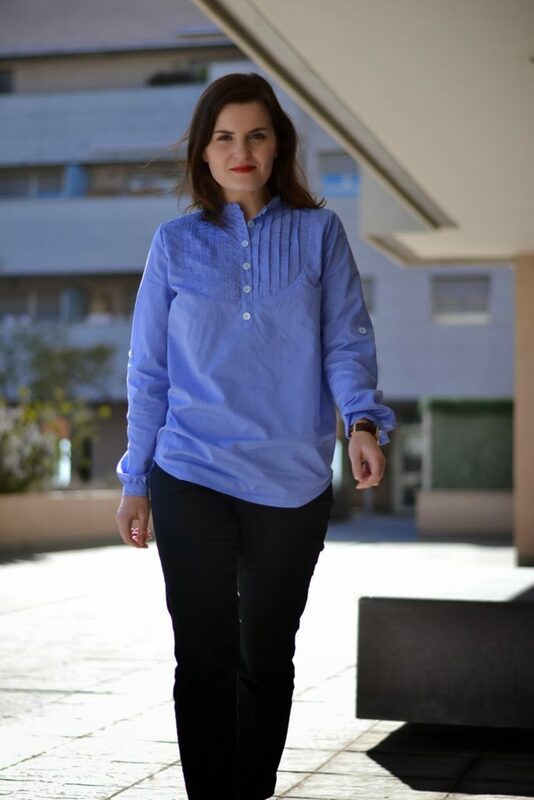 This is a casual, and yet feminine, blouse with a button placket, a pin-tucked yoke, a small mao collar and long gathered sleeves that can be rolled up with the sleeve tab. 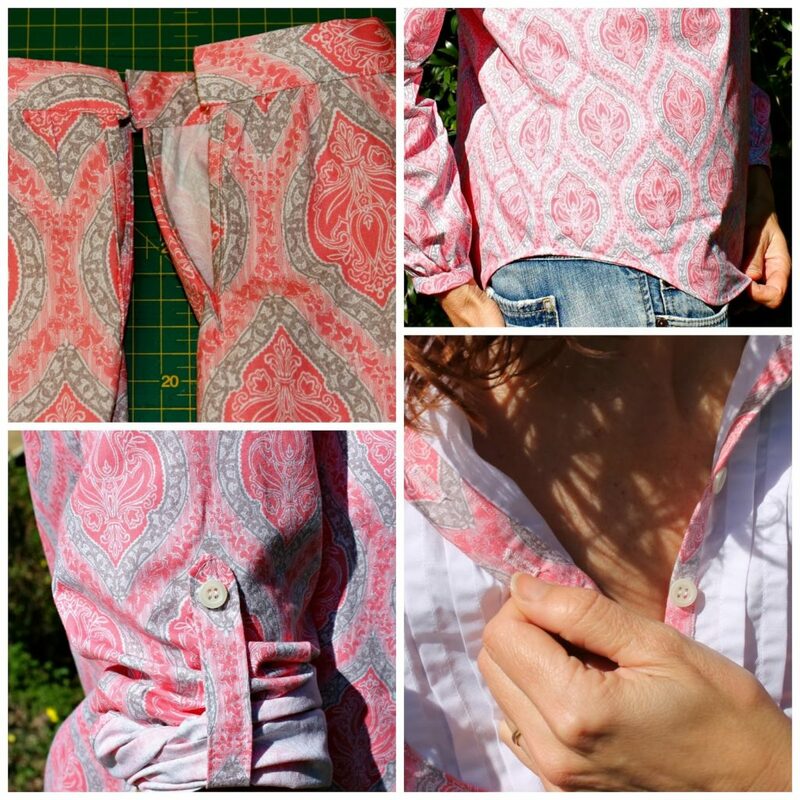 I wanted to design a blouse that you could wear everyday and still look elegant. 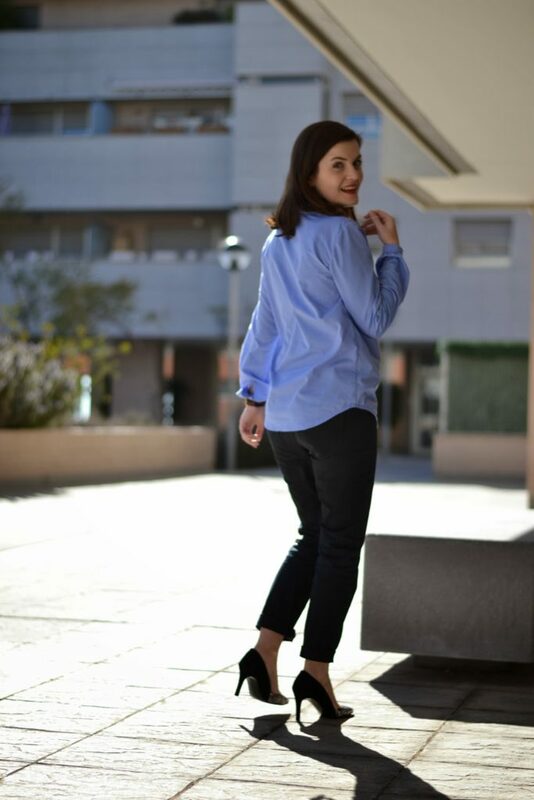 With your favourite pair of trousers or your favourite skirt, it will be perfect to wear from the morning to work until the night for a drink, or on the weekend walking in the city. 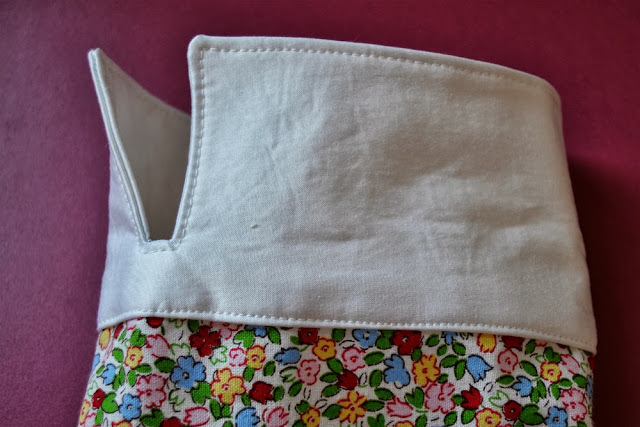 I really hope you’ll love the pattern as much as I do! 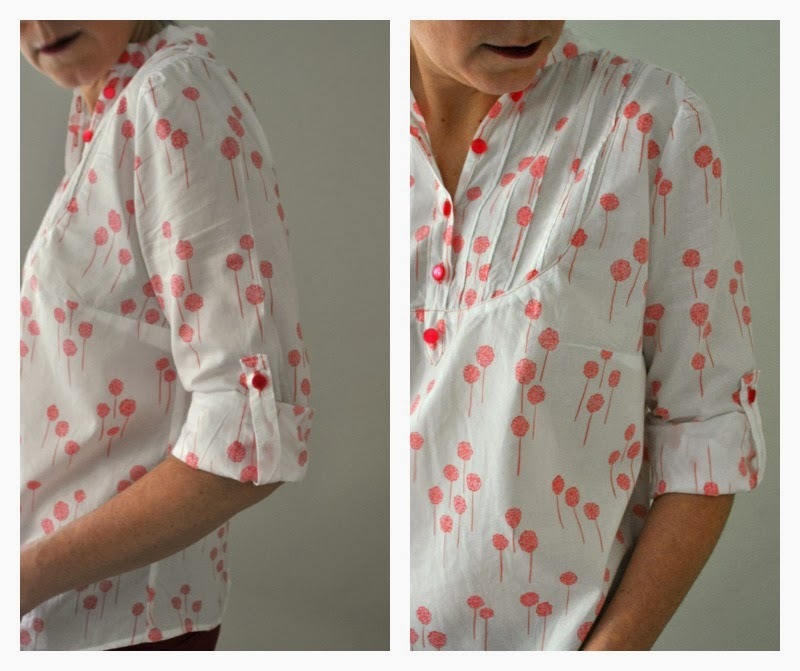 I’m preparing a series of video tutorials so you don’t have to feel intimidated by the yoke detail and the button placket. 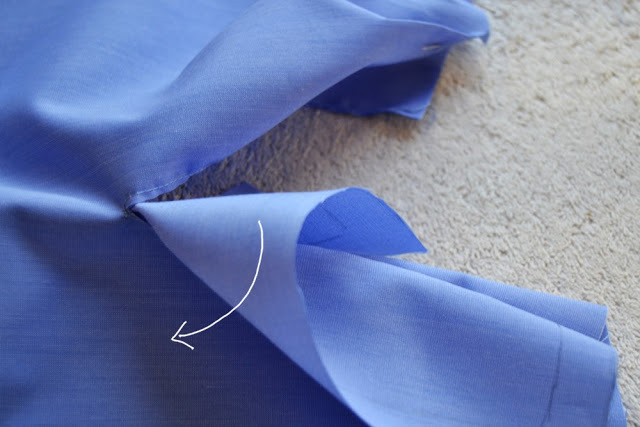 The pattern is for an intermediate level, but with the tutorials, an advanced beginner can easily make it. 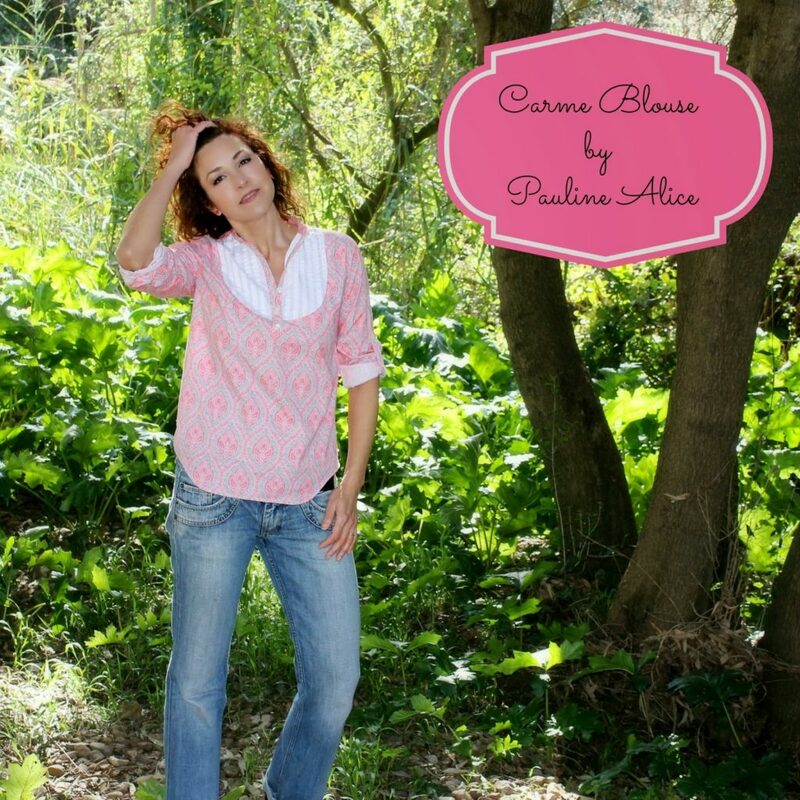 Buy the pattern here: Carme blouse pattern. 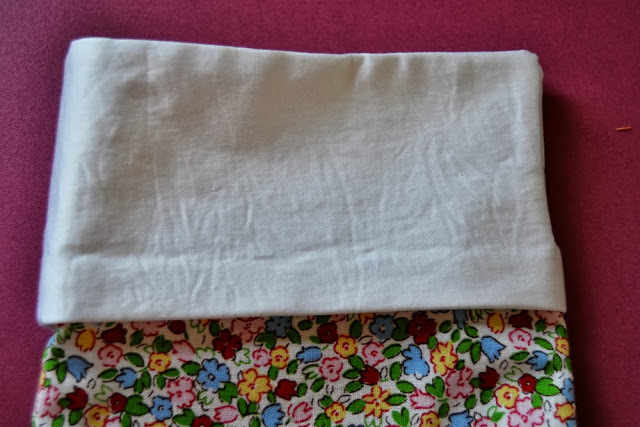 I hope you had a nice strong cup of coffee or tea this morning as today’s post is a tough one! Let’s begin! 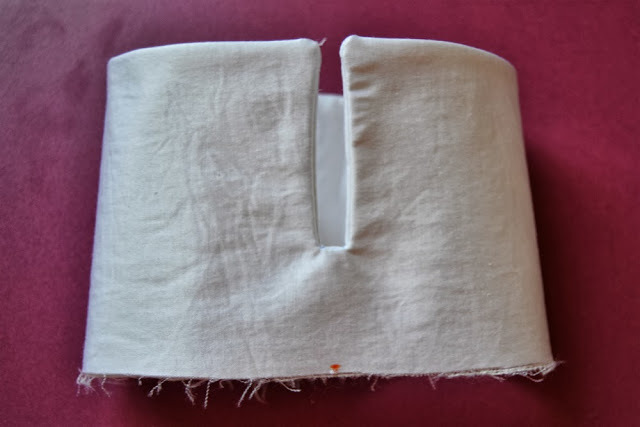 1.Take your two cuff pieces, already interfaced and place them with right side together. 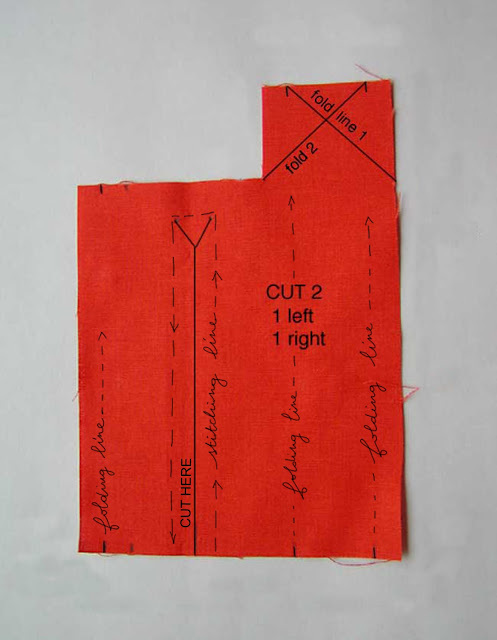 Make sure the opening is marked (I drew only the slit but you can draw the whole box as in the pattern, it’s easier). 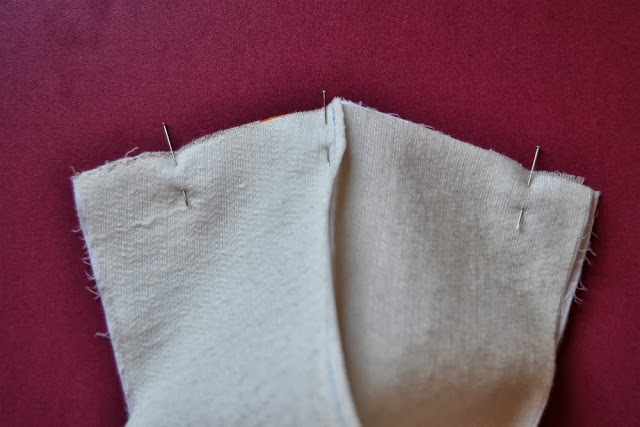 2.Pin and stitch the cuff, pivoting around the opening. 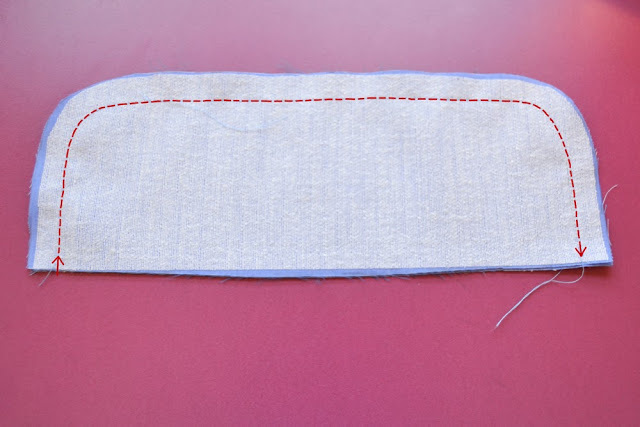 It’s best to use a short length stitch (I used nº 2 for example). 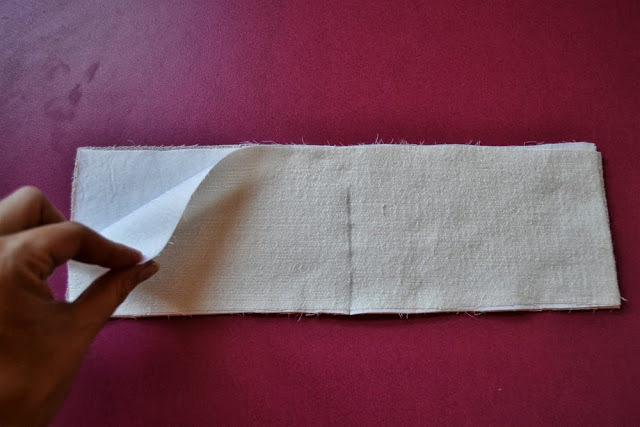 3.Cut carefully the opening between the stitches. 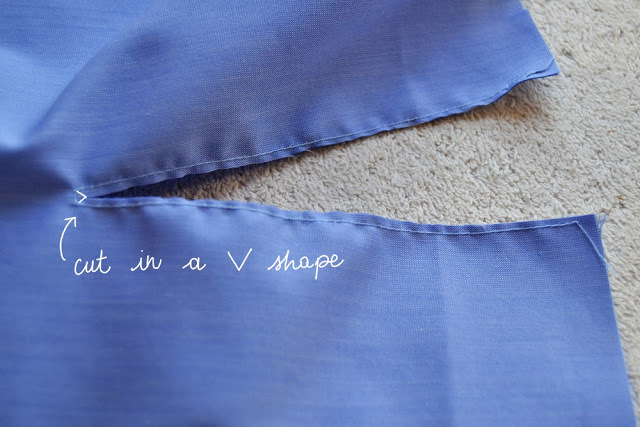 At the end, cut a V-shape the closest possible to the stitch line to the angles like in the picture. 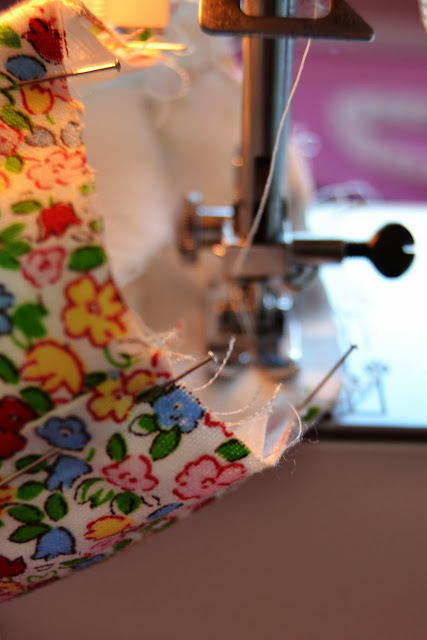 Be careful not to cut the stitches! 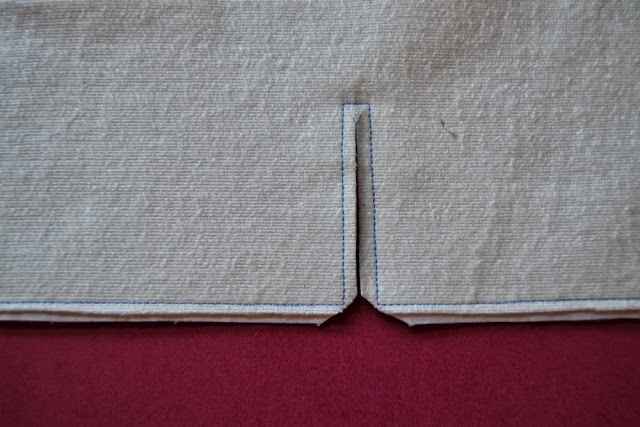 4.Trim the seam allowance and cut the corners very close to the angles. 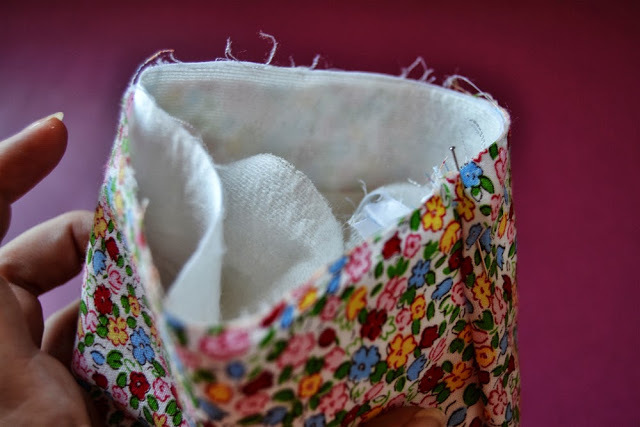 5.Open the cuff and pin together the side seams, with right side together. 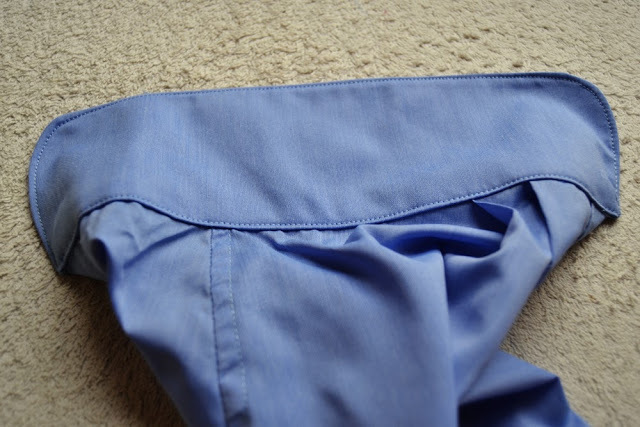 No need to turn the cuff inside out. Stitch. 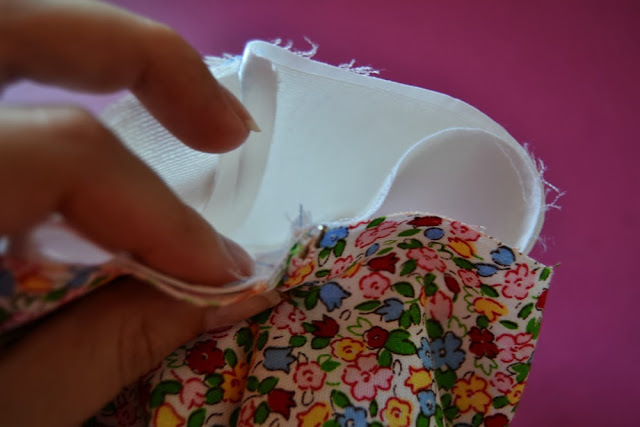 7.Turn the cuff inside out and press. 1. 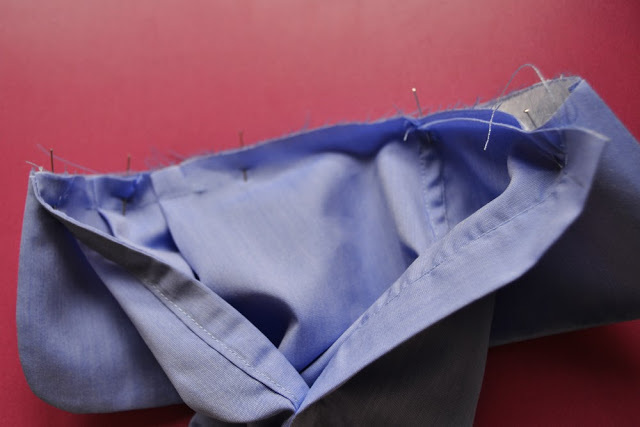 Now comes the tricky step: matching the cuff seam and the sleeve seam, pin the cuff inside the sleeve hem. 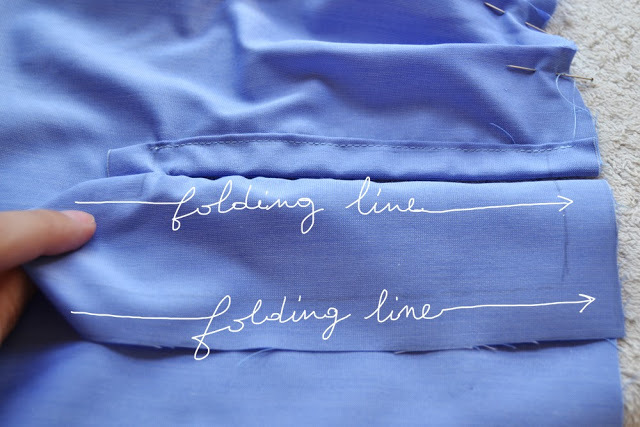 Look carefully at the pictures and try before sewing. 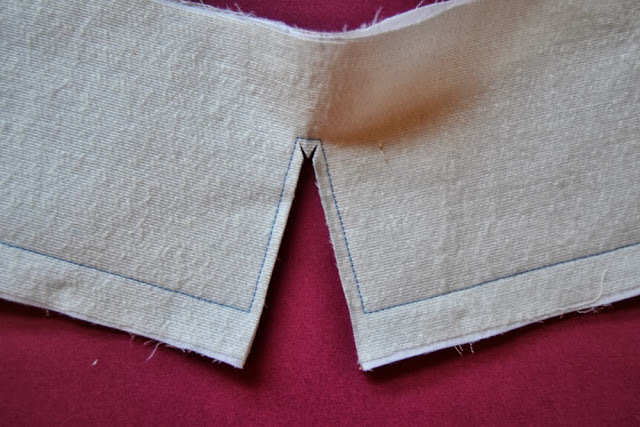 We will stitch the cuff like we would stitch bias binding. 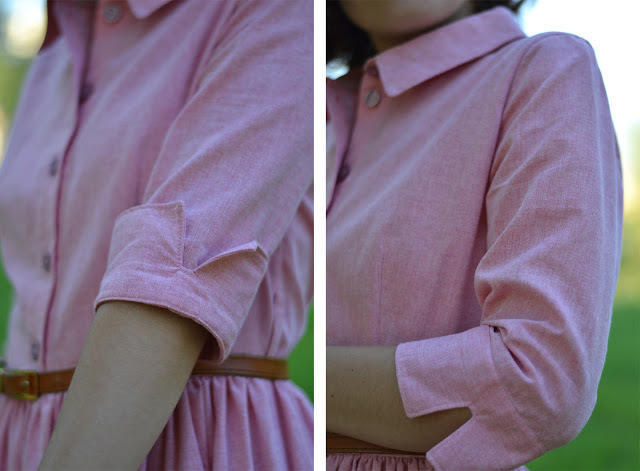 So the cuff right side is against the sleeve wrong side (believe me, try it! 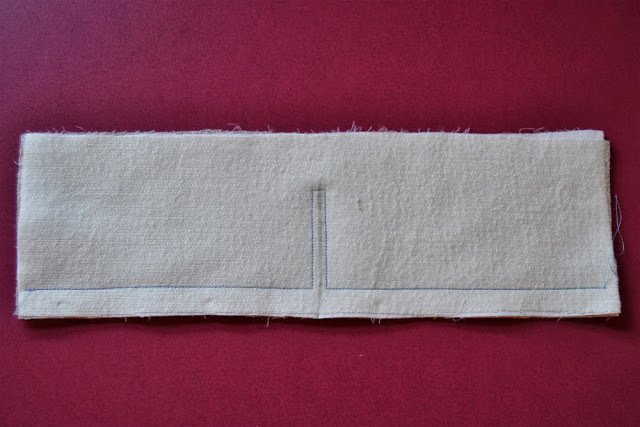 I inserted my first cuff on the wrong side.) 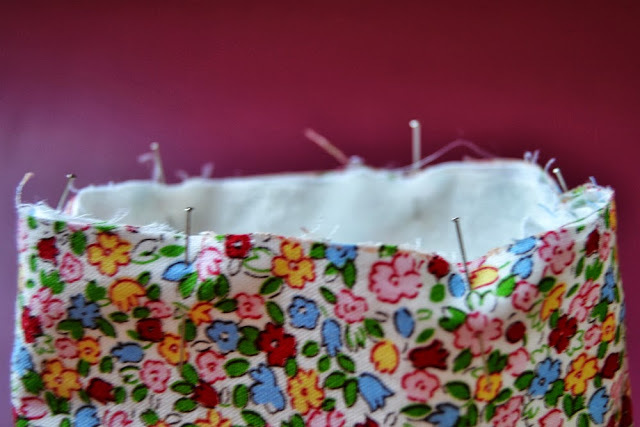 When you have pinned it, stitch. 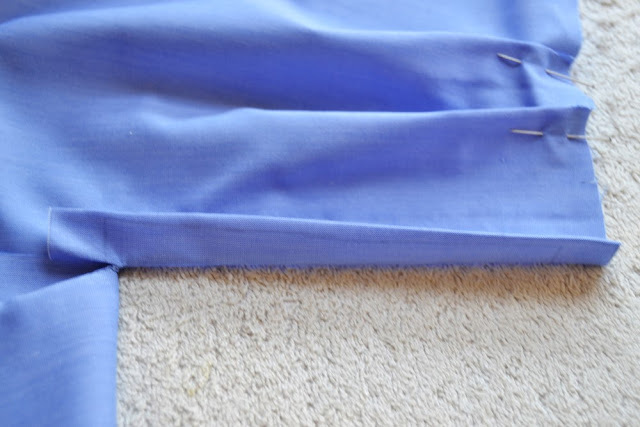 Trim the seam allowances and press toward the cuff. 2. 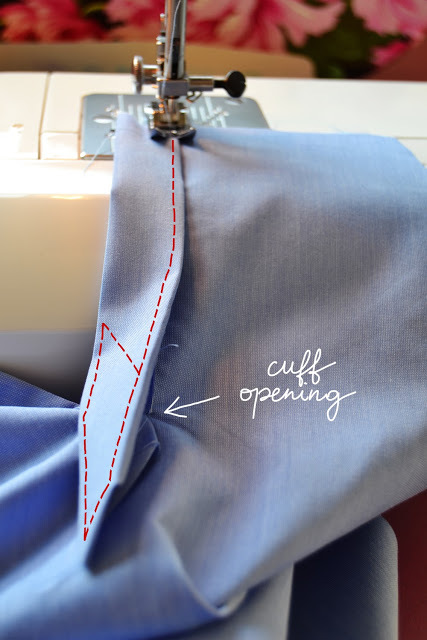 Take the cuff out of the sleeve and press the seam allowance toward the cuff. 4. 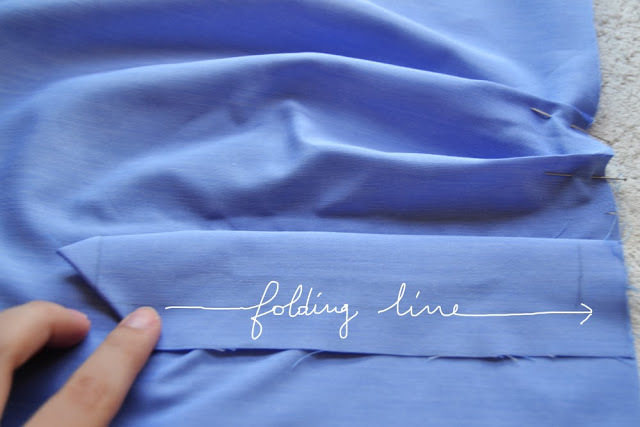 And repeat on the other side of course… What do you think? Easy or difficult? 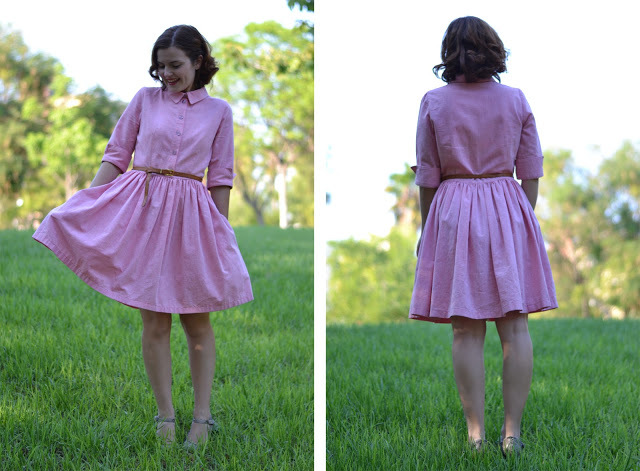 New Sewing Pattern: The Camí Dress! 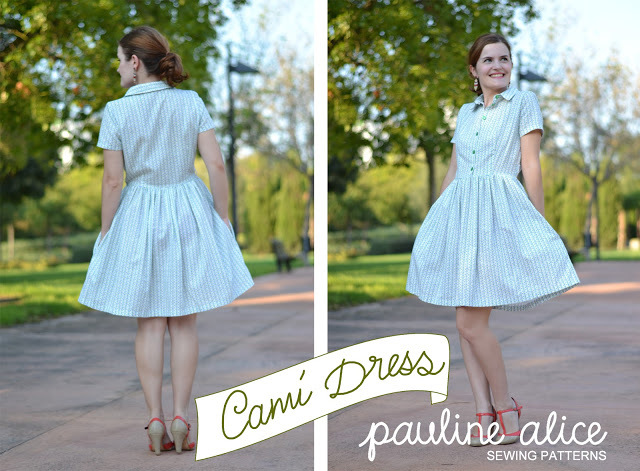 I am very happy to present you my first sewing pattern: the Camí dress! 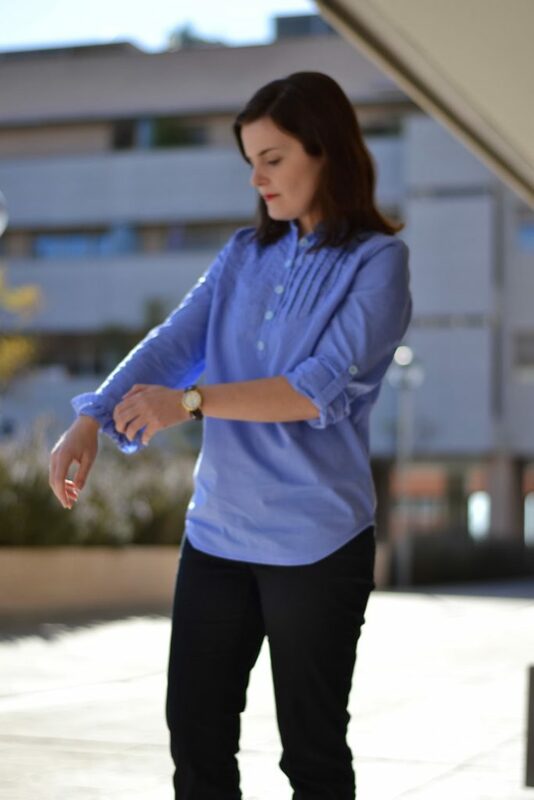 The Camí dress is a very versatile shirt dress: with its sleeve variation, it can be worn all year long… Version A has short sleeves and version B has 3/4 length sleeve with cuffs. 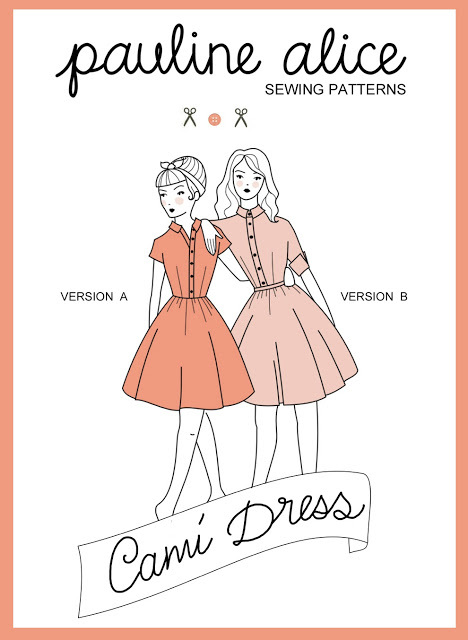 I have been in love with the classic style of shirt dresses for a long time and that’s why I wanted to design one as my first pattern. 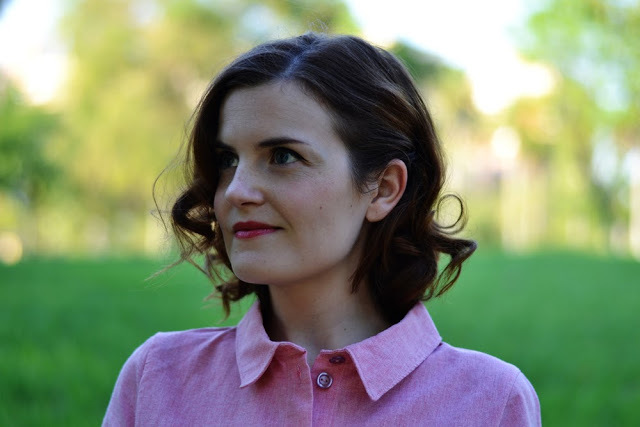 Make the Camí dress in a cute printed cotton for a casual look or choose a bright cotton sateen or silk blend for a more elegant touch: from day to night, the Camí will make an impression with its retro silhouette. 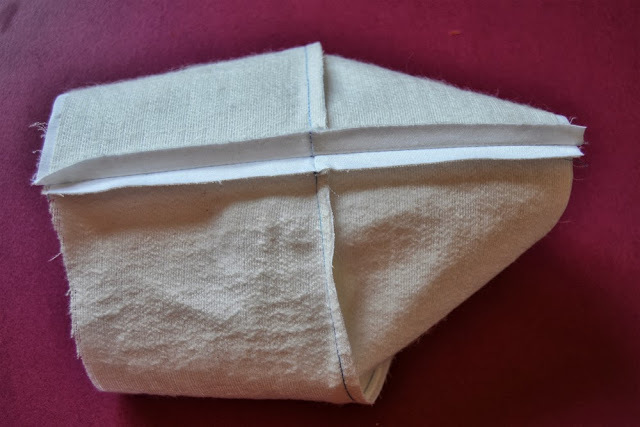 The pattern and instructions are available as PDF files in English, Spanish and French. 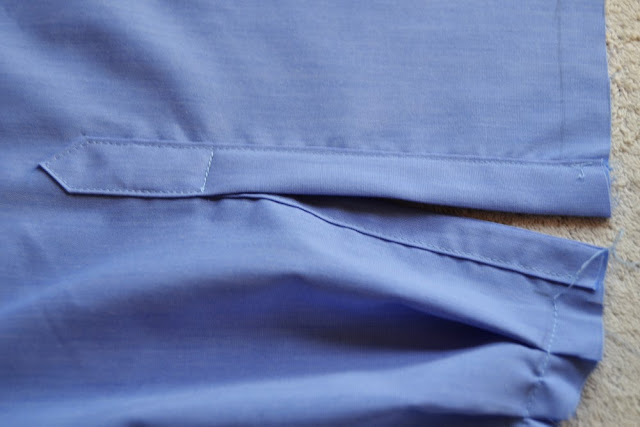 When the order is made, the files will be sent to your e-mail within 48 hours. 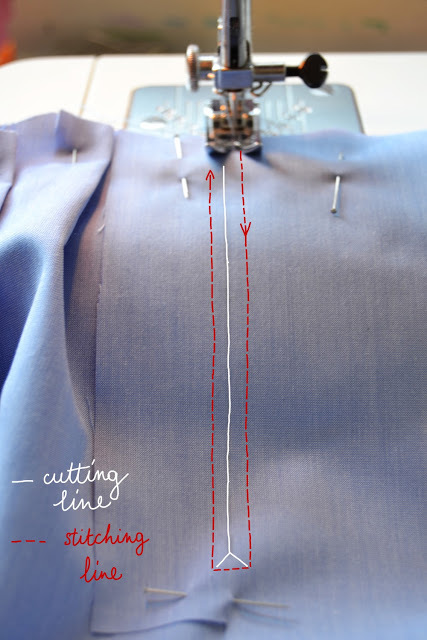 Want to make the Camí dress? 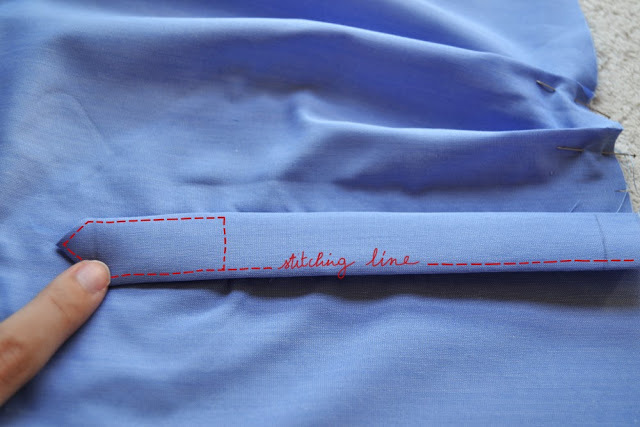 Get the pattern here! 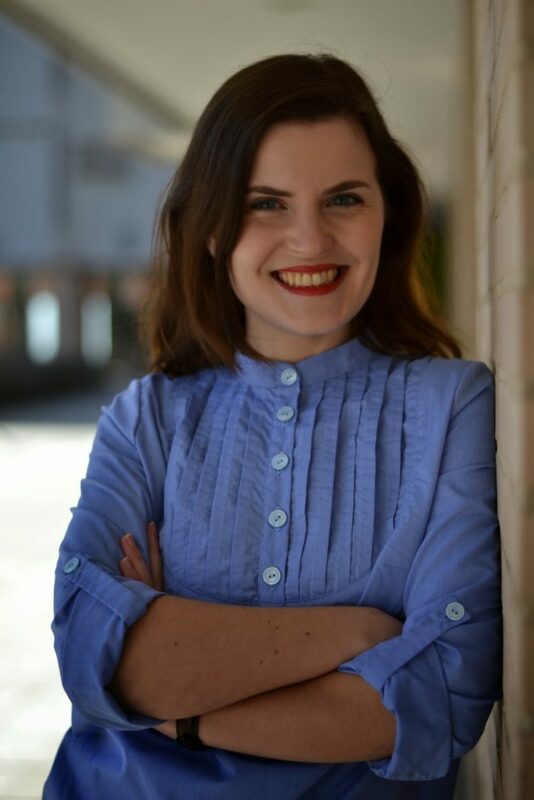 I hope you’ll love it and thanks for your support!